SCHAFFHAUSEN, Switzerland – Jan. 24, 2019 – TE Connectivity (TE), a world leader in connectivity and sensors, has again been named a Derwent Top 100 Global Innovator 2018-19 by Clarivate Analytics. The innovators on the annual list are celebrated for successfully bringing patents to market that have strong commercial potential based on originality, market reach and opportunities for spin-off inventions. TE is among the organizations that have been included in this annual report in each of the eight years it has been released. 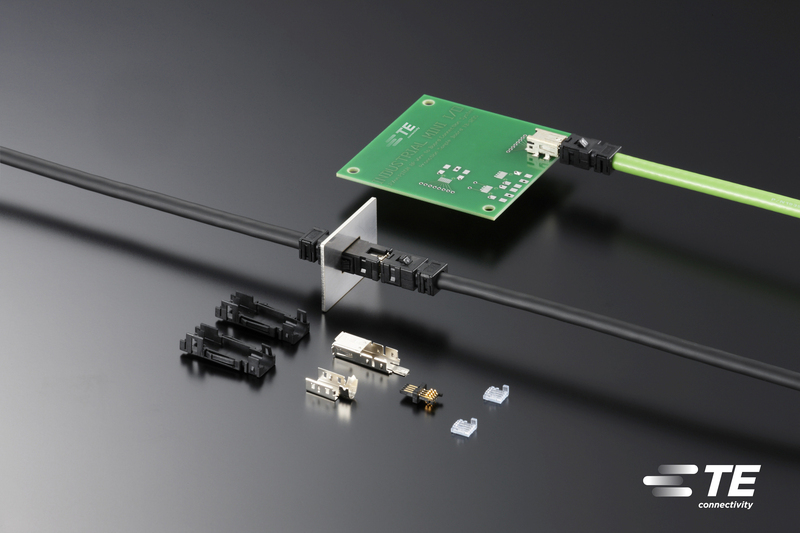 "As our world becomes more connected, the demands we put on our connectivity solutions and sensors are continuously increasing," said CEO Terrence Curtin. "Our annual ranking among the world's most innovative organizations shows that we're successfully staying ahead of the needs of our customers as we work together to develop products to create a safer, sustainable, productive and connected future." TE helps customers in approximately 140 countries create the technology of tomorrow in industries including transportation, industrial applications, medical technology, energy, data communications and home appliances. The company has more than 8,000 global engineers and more than 14,000 patents. The Derwent Top 100 Global Innovators methodology is based on four principle criteria: overall patent volume, patent application-to-grant success rate, global reach of the portfolio and patent influence as evidenced by citations. The peer-reviewed methodology was executed using Clarivate solutions including Derwent World Patents Index (DWPI) and Derwent Patent Citations Index (DPCI). The index provides editorially enhanced, authoritative and accurate patent data, and is trusted by more than 40 patent offices worldwide. To view the full list and report on the Derwent Top 100 Global Innovators program, go to www.top100innovators.com. Clarivate™ Analytics is the global leader in providing trusted insights and analytics to accelerate the pace of innovation. Building on a heritage going back more than a century and a half, we have built some of the most trusted brands across the innovation lifecycle, including the Web of Science, Cortellis, Derwent, CompuMark, MarkMonitor and Techstreet. Today, Clarivate Analytics is a new and independent company on a bold entrepreneurial mission, to help our clients radically reduce the time from new ideas to life-changing innovations. For more information, please visit clarivate.com. TE, TE Connectivity, the TE Connectivity logo and EVERY CONNECTION COUNTS are trademarks of the TE Connectivity Ltd. family of companies. Other logos, product or company names mentioned herein may be trademarks of their respective owners. TE Connectivity named a 'Top 100 Global Innovator' for eighth consecutive year.